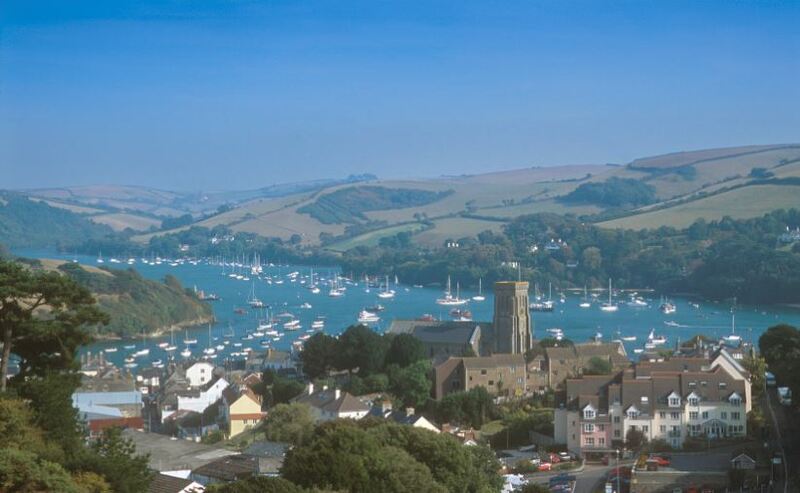 Salcombe in the South Hams region of Devon is a great place to allow your teens a first taste of freedom. This pretty seaside town with its smart stores, delis and cafés lies close to the mouth of the Kingsbridge Estuary and has sheltered coves and sandy beaches aplenty. It is a major water sports centre, and whether you fancy sailing, surfing, kayaking, paddle boarding, waterskiing or even a banana boat trip, then Salcombe has it all. Taster sessions and day or week-long courses are available for the whole family. Salcombe Dingy Sailing is one of a number of companies offering Royal Yachting Association-accredited lessons, while Stand Up Paddle Boarding (SUP) is available at Salcombe’s South Sands Beach with South Sands Sailing. Surfers can hone their skills at a Discovery Surf School camp on nearby Bigbury Beach (while parents relax and look on from the Pilchard Inn on Burgh Island, which overlooks Bigbury). There’s no shortage of beautiful, unspoilt beaches in the area, starting with the sandy beaches of North Sands and South Sands, which are just a short drive from Salcombe town centre. 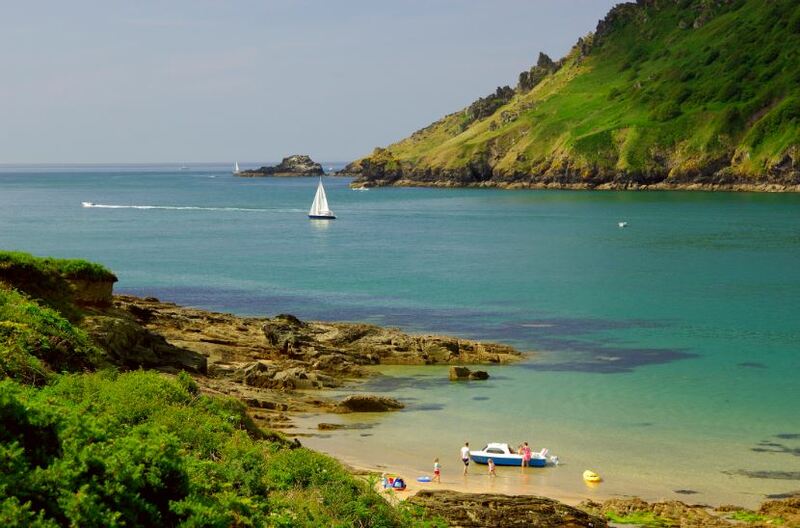 Both have car parking (South Sands has the larger car park), but for added novelty, catch the half-hourly ferry from Salcombe to North Sands, where a sea tractor will drive into the waves to meet your boat. A ferry also operates between Salcombe and East Portlemouth (a short hop across the estuary), another lovely beach where an outpost of the Venus Café chain sells a range of treats, from rare roast organic Devon beef sandwiches to home-made scones, jam and clotted cream. Up the coast towards Dartmouth lies Blackpool Sands, a shingle beach which is privately owned and immaculately kept. West of Salcombe, the beaches at Thurleston and Bantham are also popular, with life guard cover during the holiday season. It’s worth keeping an eye on the tide times – details are available on the Tide Times website – and in peak season, car parks are generally full by 11.00am. All that fresh air can only mean one thing – a hearty appetite. Pick up a picnic at the Salcombe Bake House, which has customers queuing throughout the day for its famous pasties, pastries and artisan breads. At night, it transforms into ‘La Creperie de Salcombe’, an enterprising move which adds to Salcombe’s continental feel. A particular favourite for supper is family-friendly Captain Flint’s on Salcombe’s Fore Street, which during the school holidays opens at 5.30pm. Go a little later to avoid the younger crowd and enjoy crispy, thin crust pizza, alcohol-free cocktails, craft ales, fine wines and delicious desserts. A shout-out for Salcombe Ice Cream is a must, while there are a couple of fish and chip shops in town too – Captain Morgan’s café and takeaway and The Plaice Restaurant. Shopping-wise, there are a number of aspirational brands – Jack Wills, which started out in Salcombe, Henry Lloyd and Crew all have stores in town, as well as Joules, Sea Salt, Cath Kidston and a couple of smart shops selling sailing clothing and equipment. On the way out of town towards the short and long-stay car parks, Island Street, with its chandlers and boat yards, is also an interesting place to browse. 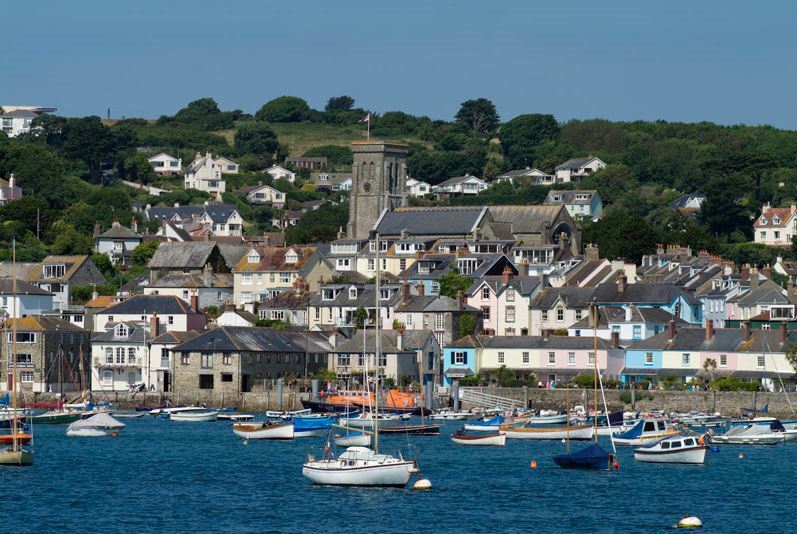 Salcombe has the highest property prices in the UK outside central London and holiday accommodation can be pricey too. There are several high-end boutique hotels, such as South Sands Hotel and the new Salcombe Harbour Hotel as well as luxury self-catering houses and apartments. There are cheaper options, though, especially if you’re happy to stay a mile or two outside town in surrounding villages and towns such as Marlborough and Kingsbridge. Coast and Country Cottages is one company offering self-catering accommodation in the area (we stayed in a lovely two-bedroomed cottage in Marlborough with this company) while details of camping and caravanning sites and B&Bs are available on the Salcombe Information Centre website. While we’d all keep our fingers crossed for fine weather, an overcast or rainy day won’t get in the way of most water sports. If the weather is truly terrible, then there’s a cinema and leisure centre in Kingsbridge, while Plymouth, a 40-minute drive to the west, has the usual big city attractions of indoor shopping centres and entertainment multiplexes – not forgetting the National Marine Aquarium.